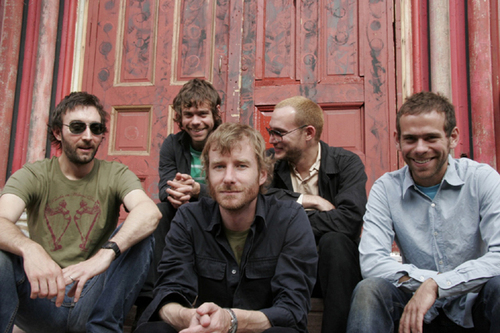 The Ohio indie-rock band, The National, as come a long way since their 2001 debut album. They are now recognized as maybe one of the best indie-rock bands currently out in the music world. The National's newest album, High Violet, has been on many music lists top albums of 2010, and rightfully so. Coming together in 1999, The National consists of two different sets of brothers and a singer/songwriter, who is known for a deeper baritone voice. Together, they combine their instruments to create some of the most refreshing indie songs. Their albums continue to receive praise from all spectrum's of the music industry: blogs, magazines, and other various critics. Their last album, High Violet, reached #3 on the US charts and #5 in the UK.